This book seeks to examine the causes of escalation and de-escalation in intrastate conflicts. 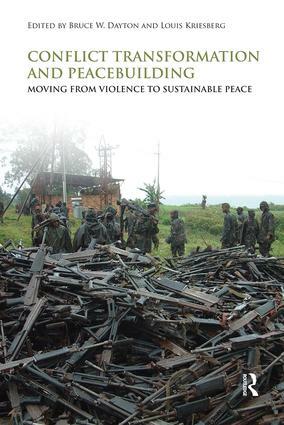 Specifically, the volume seeks to map the processes and dynamics that lead groups challenging existing power structures to engage in violent struggle; the processes and dynamics that contribute to the de-escalation of violent struggle and the participation of challengers in peaceful political activities; and the processes and dynamics that sustain and nurture this transformation. By integrating the latest ideas with richly presented case studies, this volume fills a gap in our understanding of the forces that lead to moderation and constructive engagement in the context of violent, intrastate conflicts. This volume will be of great interest to students of conflict management, peace studies, conflict resolution, ethnic conflict and security studies in general. The Nepali Maoists: Successful transformation or compliance with a strategic plan?